Thanks to Nandoos Kitchen for reminding me about this recipe.I have tried it before but was not satisfied with the result..I made some changes in the propotion and tried again .The result was awsome. Add condensed milk and stir it well. Once it get mixed add cocoa powder. Mix it well and keep it in low flame. Stir continiously till it starts leaving from the pan. Grease a tray with ghee and spread the barfi mixture. Let it cool and cut in to desired shape. 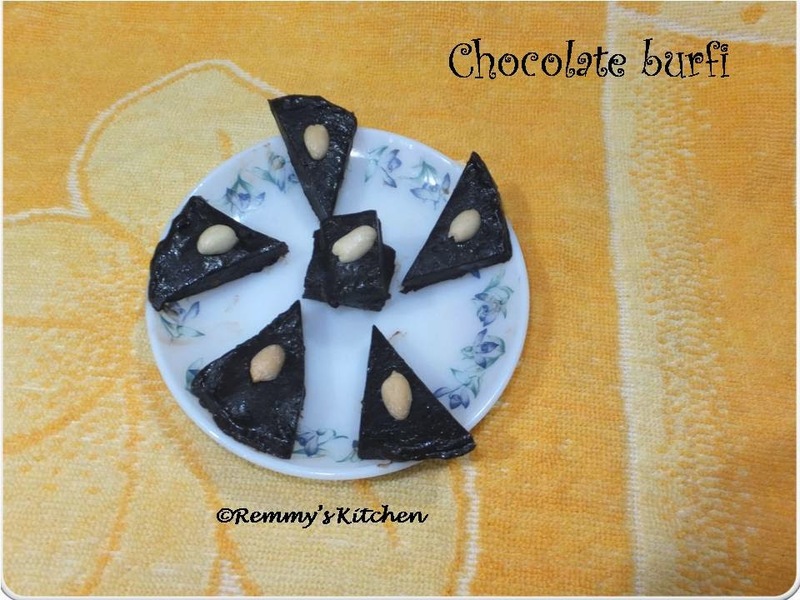 Delicious colourful chocolate Burfi A real treat for chocolate lovers. 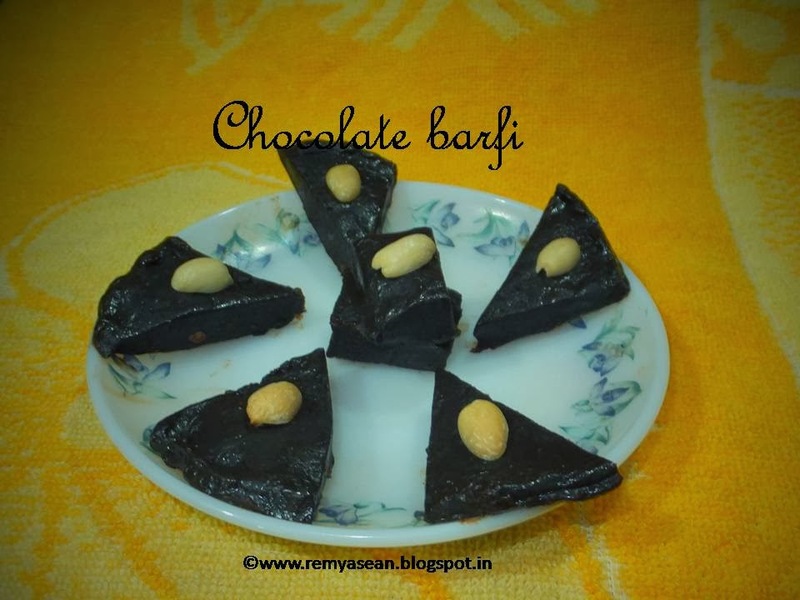 Burfi looks so delicious and tasty !! Looks delicious dear ..very tempting !! hi remya, thanks for visiting my space, you too have a lovely blog. Simple yet its much loved for the flavors. 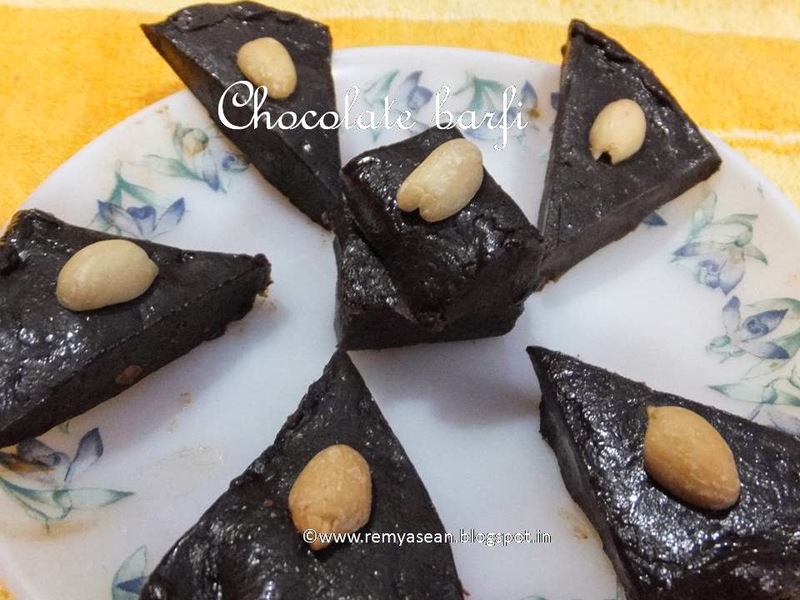 Awesome chocolate burfi, like the color and presentation. Very tempting recipe just with 3 ingredients. Super. Looks so yummy! I should try this soon. Thanks for linking this to my event!